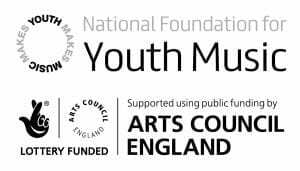 In January Youth Music awarded us funding to start a large three-year project, MiXT-UP, giving young people who wouldn't normally get the the chance to access music-making activities. So far we have worked over seven weeks with refugees who have recently arrived in Leicester, giving them weekly music sessions using music technology such as Logic Pro, and Ableton Live and Push. We have also been working in partnership with Harborough District Children and Young People’s Charity to bring music education to Travellers and Gypsies in Leicestershire. We have been working on location in our portable studio, as well as using a venue close to where the participants live for doing some more intensive music work. We are planning to continue this partnership for three years and get to the point where young people can develop their own music and perform in front of their peers and parents. 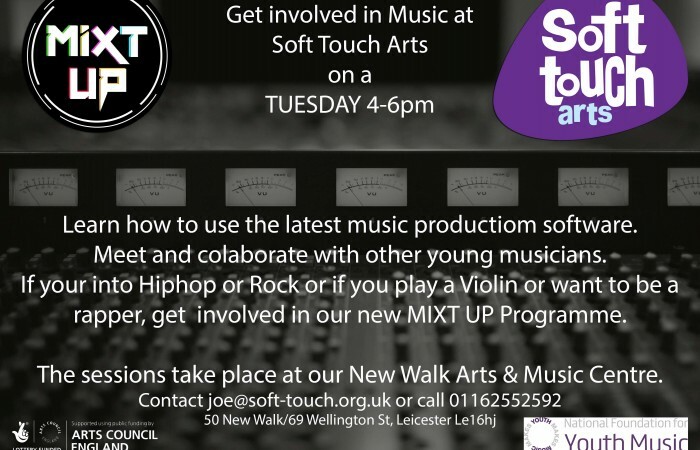 Over the next year we will be running music taster workshops in Leicester neighbourhoods such as Beaumont Leys, Highfields and St Matthews, the idea being that after young people can take part in their localities they will be able to move on to accessing the regular weekly sessions at Soft Touch’s building. Another exciting partnership, which is part of the Mixt-UP programme, is our work with the Philharmonia Orchestra. Autumn will see a follow up to last year’s hugely successful Symphonize project which will enable young people to bring together urban and classical music influences to create exciting new compositions which they will perform to a live audience. We will be working with various groups across Leicester for tasters which will feed into an intensive week of sessions at our New Walk Soft Touch Studio! Symphonize will then repeat for another two years. We have an exciting three years ahead!